College posters make fantastic wall decorations for dorms! They're cheap dorm supplies and they can add a lot of style to your dorm room decor. Dorm essentials like college posters can be of more than a celebrity or TV show! They can also be great works of dorm wall art. Dorm wall art pieces like our Bridge of Sighs College Poster will add absolutely beautiful dorm room decorations to your college dorm room. You can't help but look at this college poster and sigh at the beauty of the scenery! Our Bridge of Sighs College Poster features the Bridge of Sighs in Italy in black and white. This Bridge is stunning in the first place, but when you add the grayscale effect to this dorm essentials item, it really makes it quite eye catching. In the lower left corner of this college supplies item is a Gondola ride in progress with the Gondola highlighted in red for a pop of color. This dorm essentials item will add gorgeous scenic views to your college wall decor that will bring all of your dorm room decorations together for a complete look. 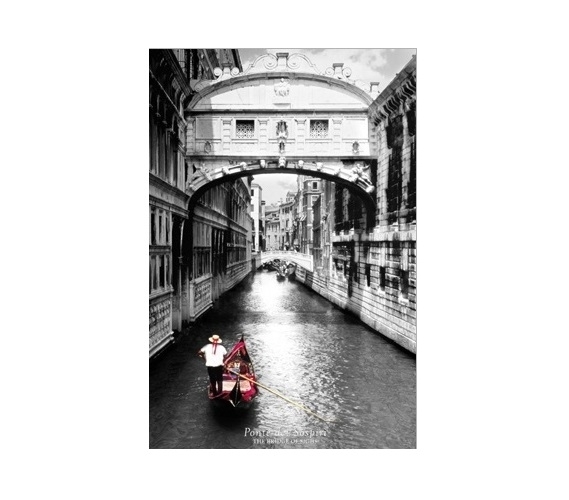 You may not have the scenic view you want outside of your dorm room, but with gorgeous dorm wall art pieces like our Bridge of Sighs College Poster, you will be able to bring stunning scenic views inside of your dorm room to your dorm room decor!